I love this time meal when the days are beautiful and warm while the nights are cool! Mostly our winter and I make a pot of Chilli Con Carne!! A family favourite and easy to make and packs a punch! 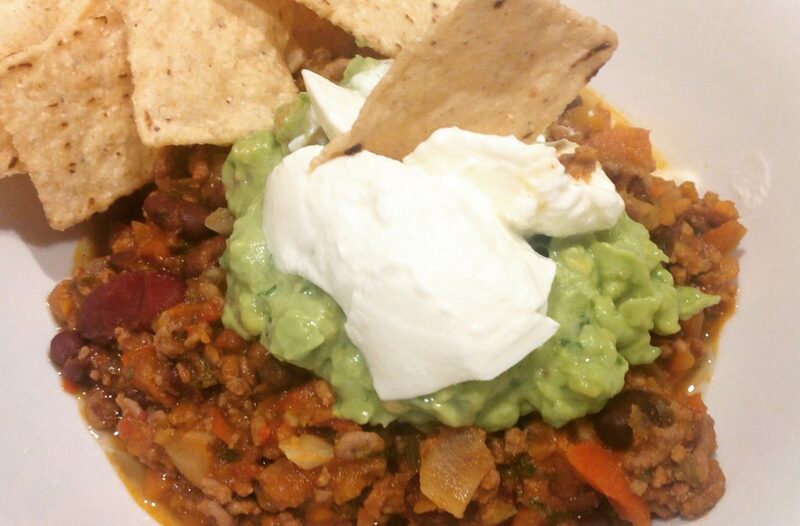 Serve with gluten free corn chips, guacamole & dollop of organic natural yoghurt. Keep some left overs for lunch!! Wrap some up in a lettuce leaf! Replace grass fed minced beef with 2 cups cooked Quinoa, beef stock with either vegetable stock or water and organic natural yoghurt with coconut yoghurt. In a large pot add olive oil on medium to high heat. Add the onions, garlic, chilli and spices, cook until onion is soft, not burnt this is called sweating the onions. Add in the stock/water, quinoa and stir until flavours are mixed. Add remaining ingredients, carrot, celery, capsicum, beans and tomatoes. Bring to the boil and then reduce heat and simmer for 1/2 – 1 hr until the liquid has reduced. 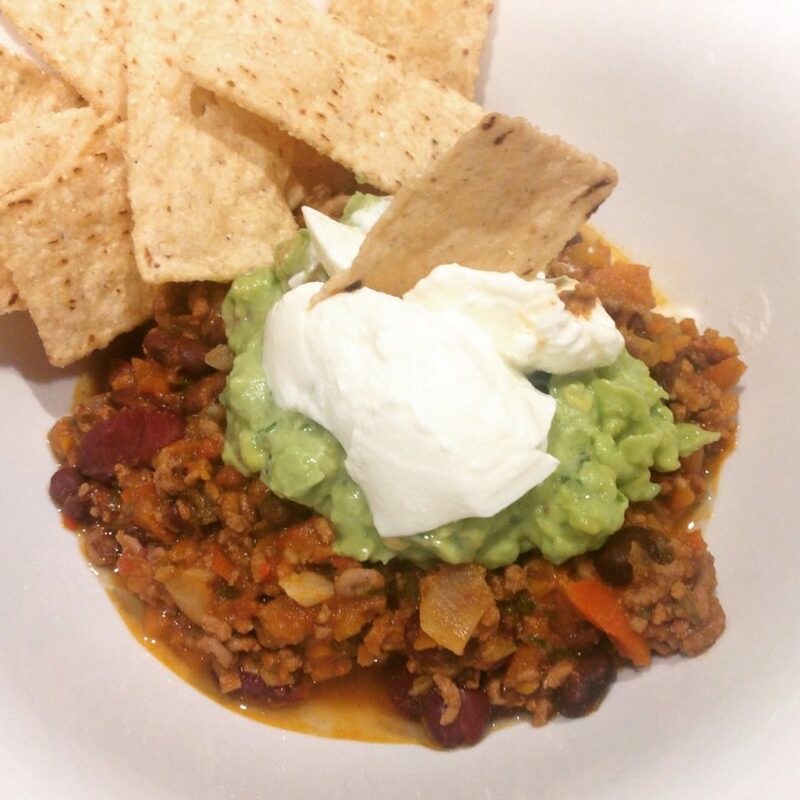 Serve with gluten free corn chips, guacamole & dollop of coconut yoghurt. Don’t forget to leave a comment as I love hearing from you, keep in touch and let me know how you are enjoying the recipe!